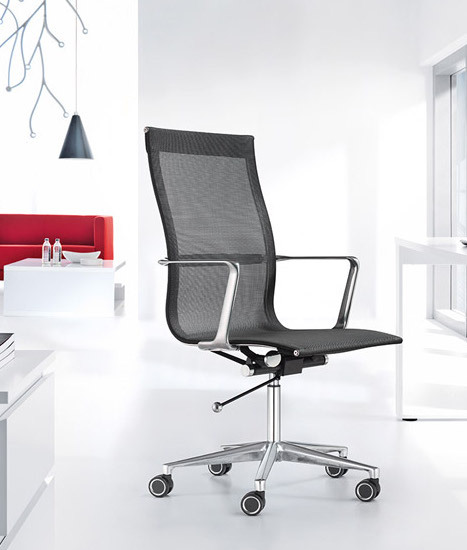 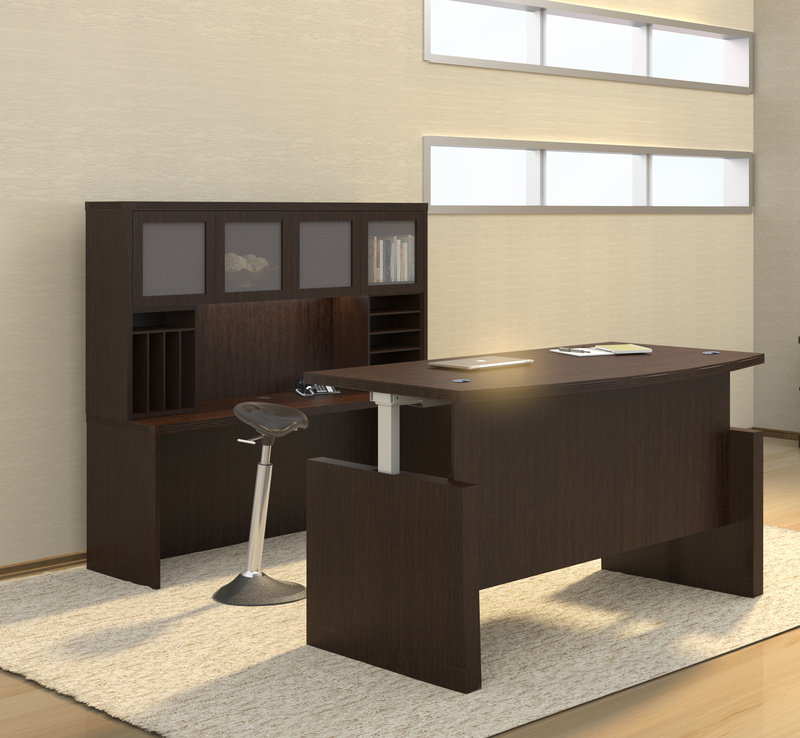 The reception furniture from the Mayline Napoli collection is ready, willing, and able to impress your valued clientele. 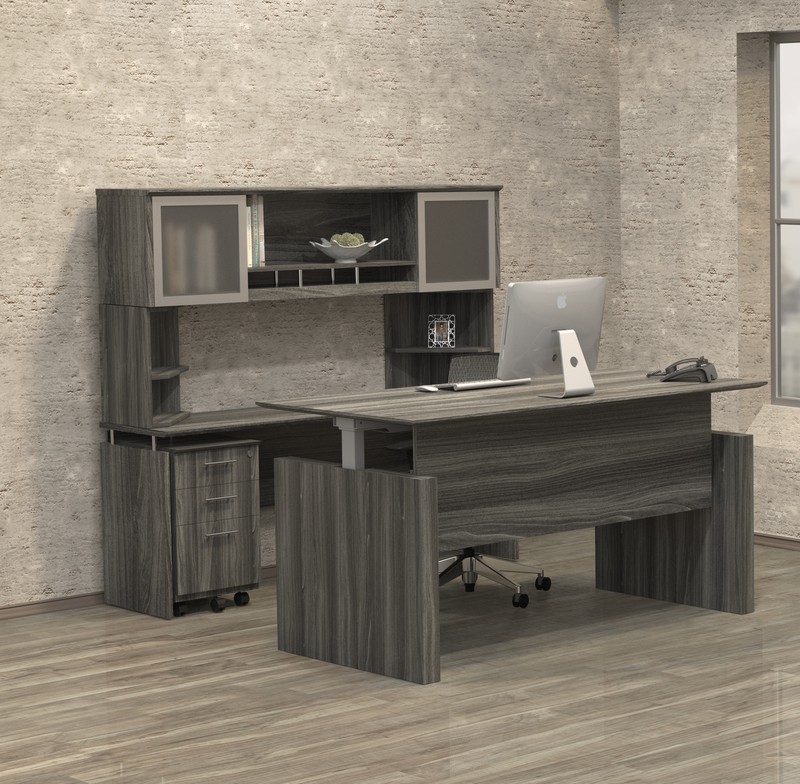 This NRS model Mayline Napoli reception desk with glass transaction counter is available in 2 elegant wood veneer finish options that pair perfectly with the silver desk trim. 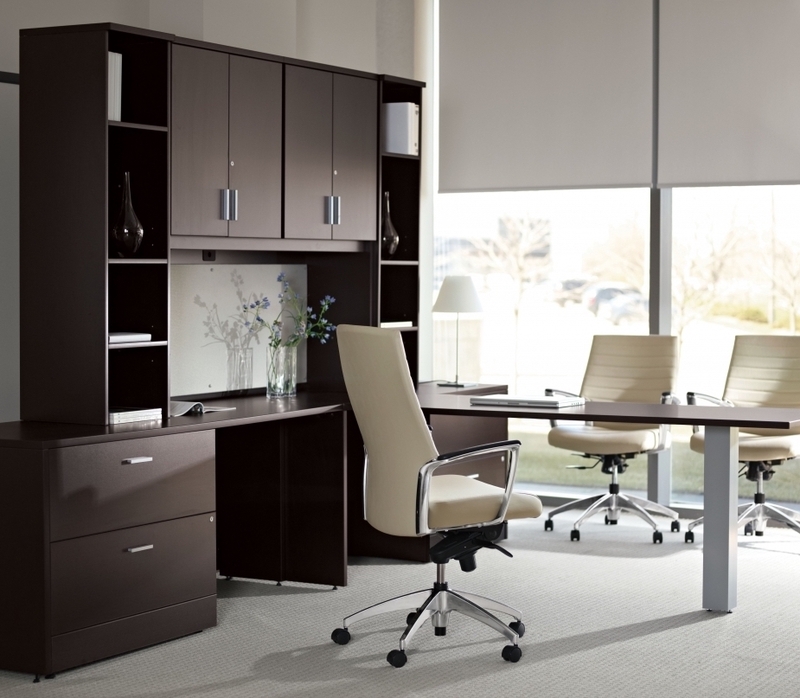 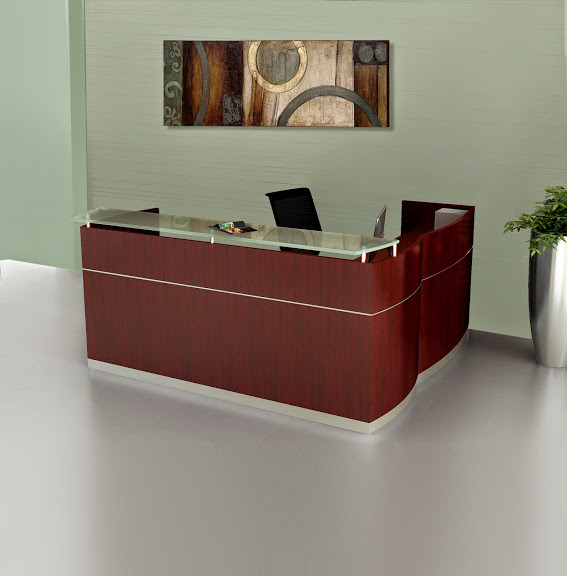 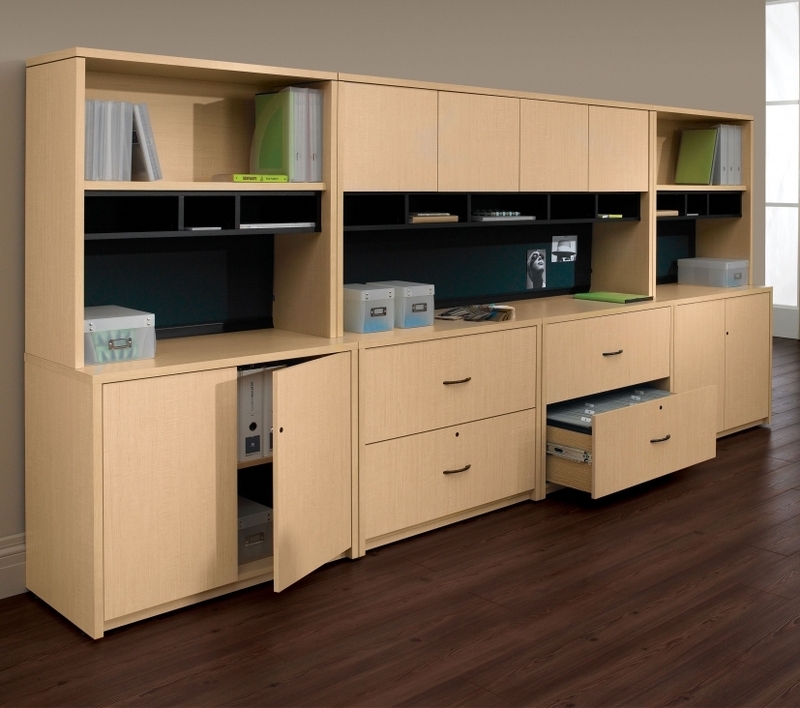 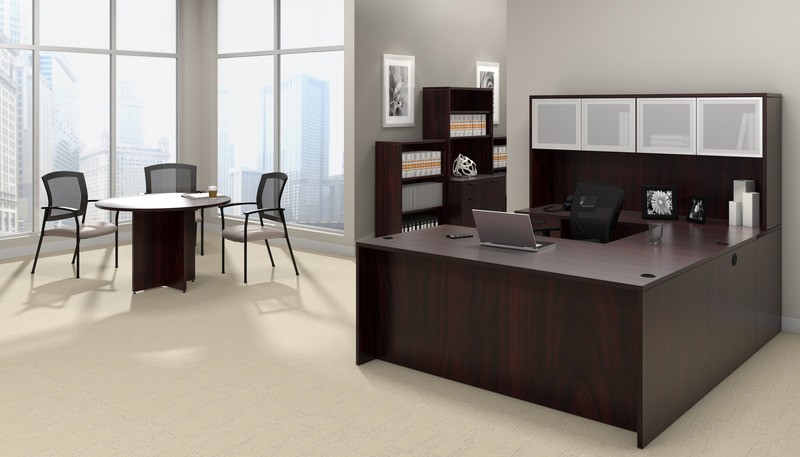 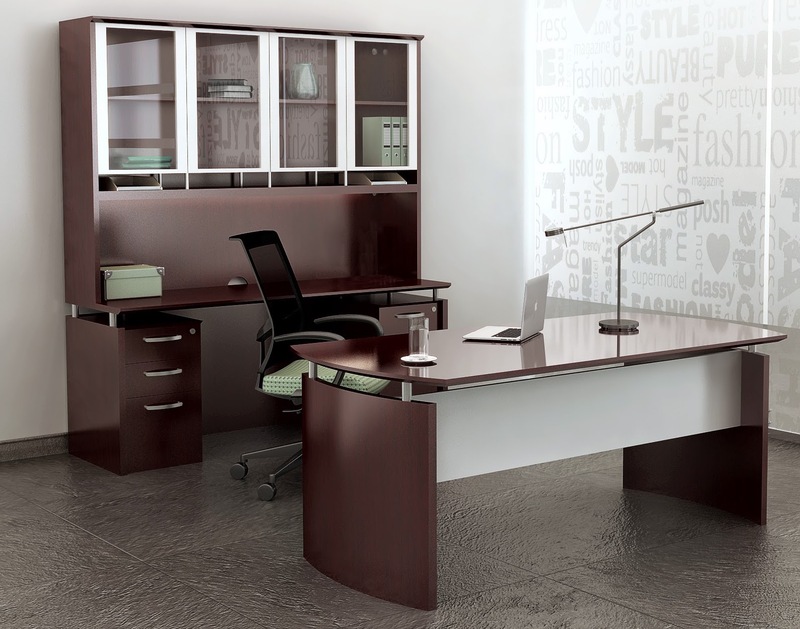 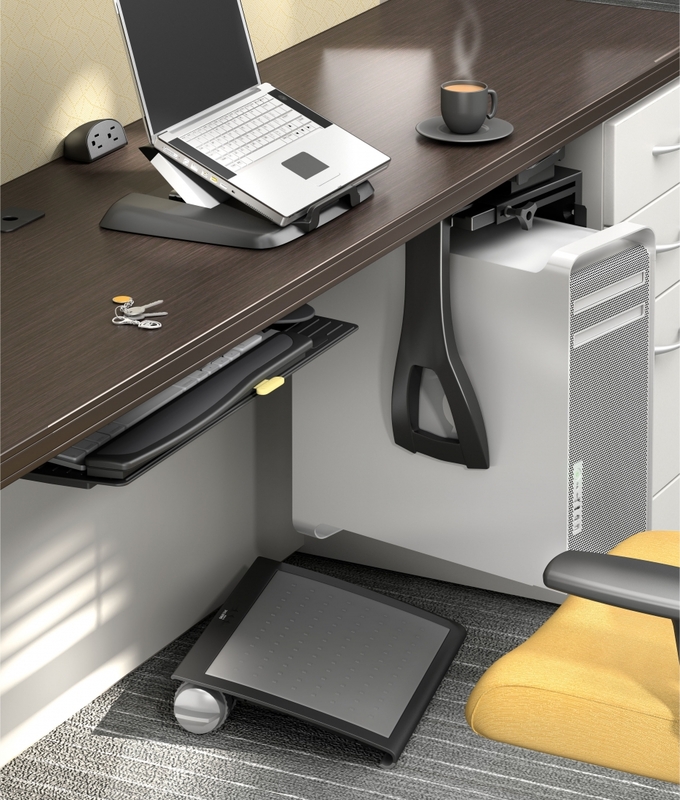 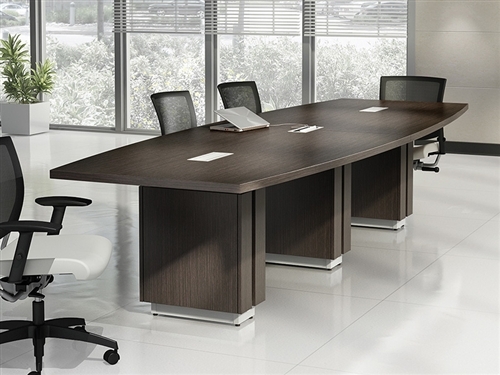 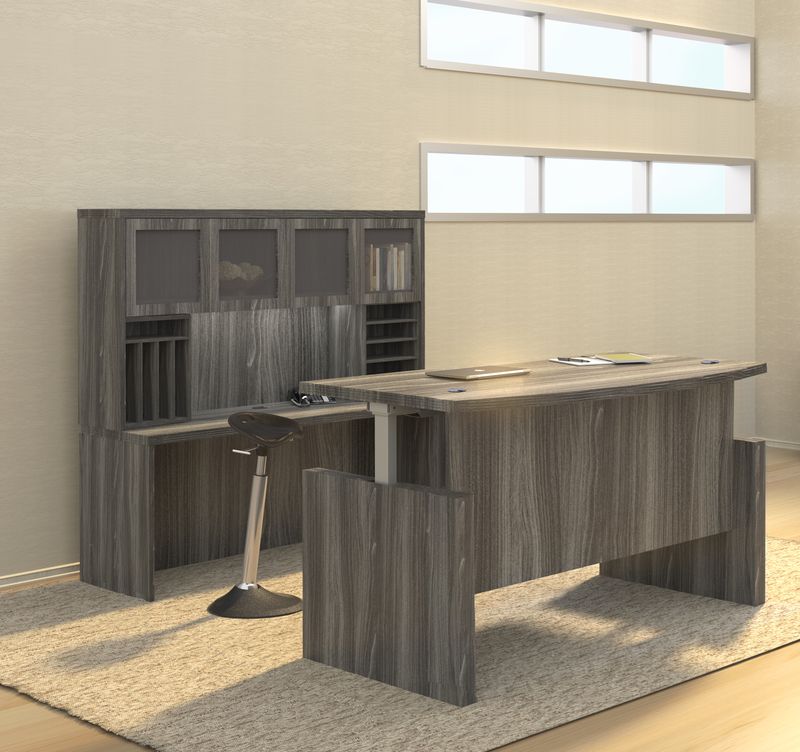 Mayline Napoli series reception desks are spacious, luxurious, and typically in stock for immediate shipment.